Mark is a third year biochemist at Somerville College. He was first exposed to the markets during his national service and has been investing & trading his personal account ever since. Mark has interned at GIC, rotated across the FICC trading desks at DBS, and has also done spring weeks at Barclays and BNP Paribas. He will be interning this summer at Morgan Stanley in London and will be joining the Point72 Academy in New York upon graduation. Michael is a second-year PPEist at Oriel College. As Vice-President for the fund, he coordinates the fund’s research activities and pitches, works closely with the fund’s portfolio managers, and is responsible for fund’s day-to-day functioning. As a second-year biochemist at Exeter College, Aditi developed an interest in investing from reading about the growth and opportunities in Life Sciences. She is a Bootcamp graduate who was a member of the team that won the inaugural case competition. Having completed the IMC, Aditi is an incoming spring intern at Blackstone, Credit Suisse (IBD & GCM), Evercore and Rothschild & Co (Financial Advisory). Alex is currently a first-year undergraduate studying Economics and Management at Christ Church College. Whilst completing his A-levels, Alex completed the Chartered Institute for Securities and Investment’s Level 3 certificate, obtaining the highest mark internationally. Alex currently holds an analyst position in the Fund, having graduated from the Bootcamp earlier this year. Away from his academic studies Alex is a keen athlete, playing college football and training for his first triathlon. He also has a passion for jazz. Haersh is a first year Historian at St Hughs College. He was first exposed to the wider world of finance after interning with Abbott Laboratories, and dove into investing proper as a bootcamp candidate with the Alpha Fund in MT18. Haersh has spent his spring interning with Deutsche Bank and Deloitte, and has also participated in an insight programme with Point72. Haersh also loves history, and relishes discussions on historical parallels and economic history. Terence is a first year Economics and Management student at Harris Manchester College. He was first exposed to the financial markets a year ago and has been investing his personal account. His interest in the fund was sparked after seeing the Nike pitch. Outside of the fund, Terence has many interests ranging from piano performance to Taekwondo. He also plays the Trombone and translates in his free time. 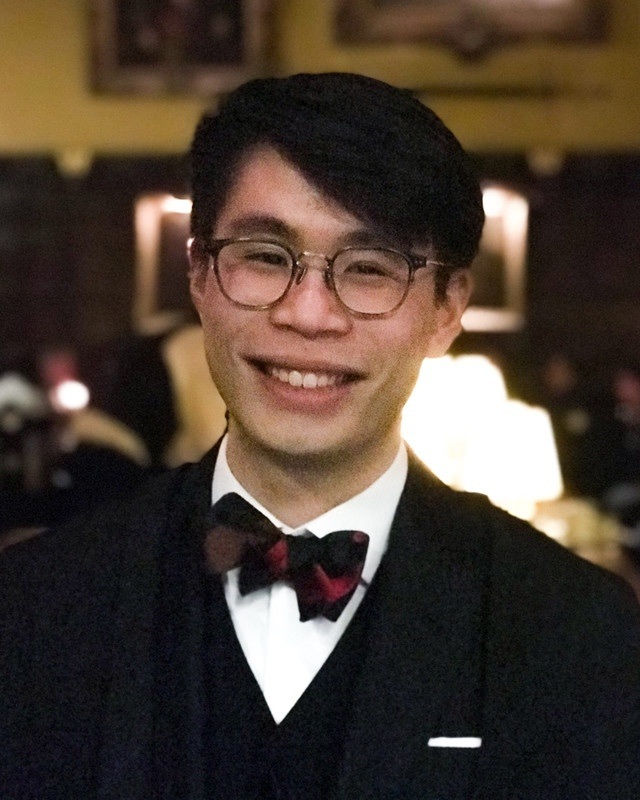 David (Zixuan) Ni is a first-year Economics and Management undergraduate at Jesus College. Having grown up in China and studied in the US, David also enjoys learning about how companies function across national borders. After joining OAF in MT 2018 as a bootcamp trainee, he worked on a pitch for McDonald’s and is currently an analyst on the Renewables team. When he is not thinking about levelised cost of electricity, David plays Saxophone, attempts to learn German, and keeps up with Union politics. Mingwei is a third-year Physics and Philosophy undergraduate at Queen’s. He has interned at Credit Suisse as an Investment Banking Analyst, and led a team covering P2P lending for the fund. Mingwei will be headed to Point72 this summer.